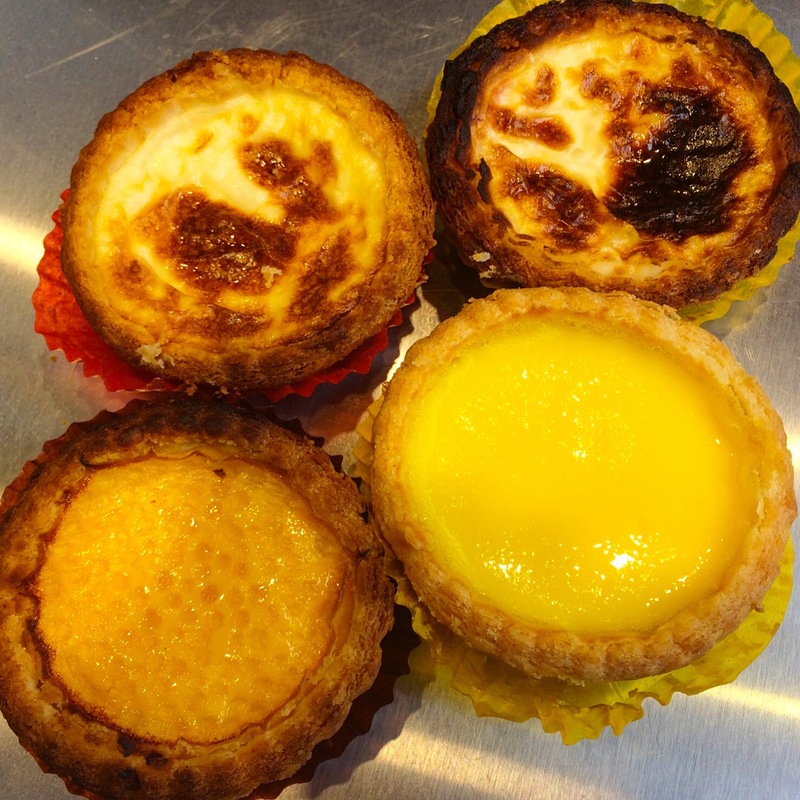 Chinese Egg Custard Tarts (dan tat, 蛋挞) are ubiquitous in Chinatown, on display in just about every Chinese bakery case and riding on dim sum trolleys threading their way through restaurants at lunchtime. 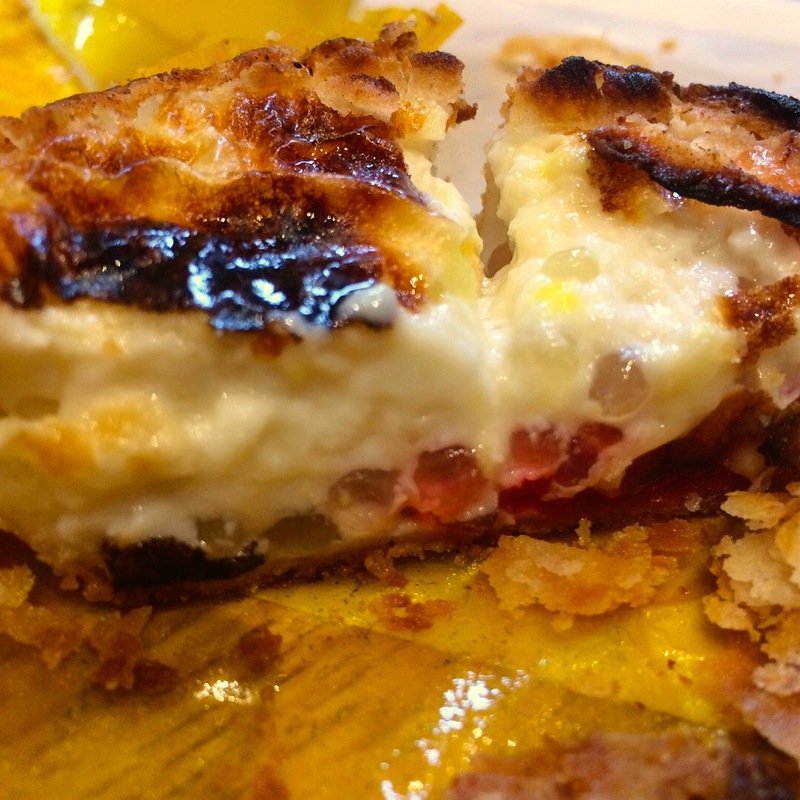 They found their way to China and Hong Kong decades ago by way of Portuguese pastéis de nata and English custard tarts and are available these days in a wide variety of styles: the basic (plain bright yellow surface), brûléed (Portuguese influence), egg white, coconut, green tea, even strawberry, almond, papaya, and the list goes on. Some time ago, there was a bakery on Mott Street that touted dozens of flavors; alas, they’ve since closed, but it appears that New Flushing Bakery has taken up their mantle. 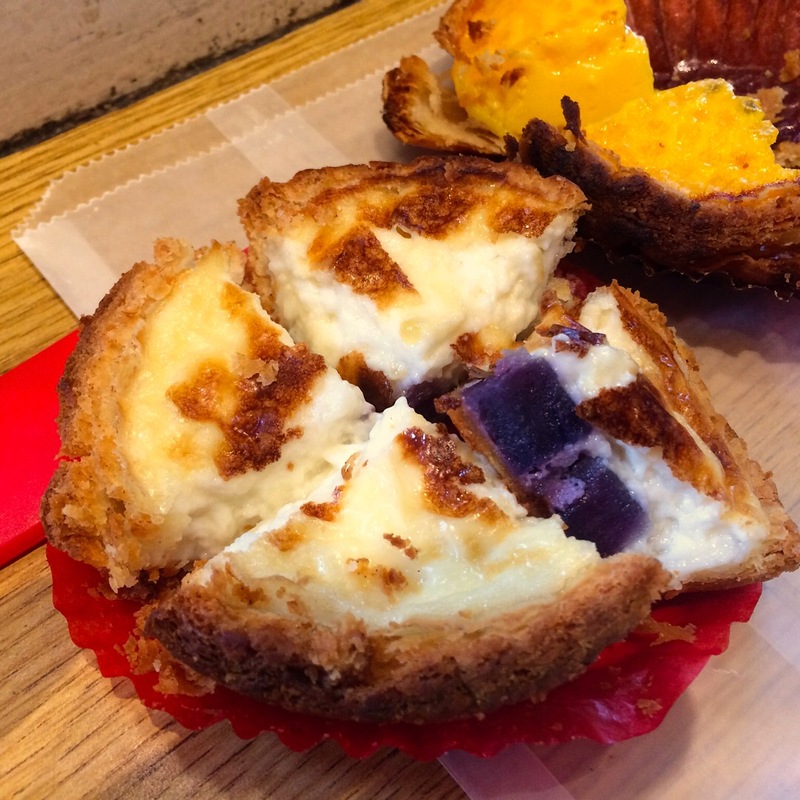 Here’s a sample of their wares: clockwise from upper right, Strawberry Milk Custard, Lemon Egg Custard, Mango Egg Custard (with tapioca balls), and Purple Potato Custard. Cutaway views reveal purple potato lurking within one and a strawberry layer at the bottom of another. New Flushing Bakery is located at 135-45 Roosevelt Ave, Flushing, Queens. This entry was posted in Good Eats, Instagram, Shopping, Sweets and tagged Chinese by Rich. Bookmark the permalink.